Đoan Trang: Seeking Justice for My Mother! I caught the first glimpse of him just after he stepped out of the car, a tall guy with a small camera dangling around his neck. He shyly mumbled “hello, sis.” A few hours later, I was looking at him running around in the midst of the colorful and lively atmosphere at Universal Studio, under the bright sun of August in Los Angeles. At the sight of almost everything, he excitedly squealed “wow, it’s so pretty, very beautiful!” and then ran up-close to pose and take pictures. He then looked at the pictures, checking them out with a big smile on his face. In those moments, looking at him, it’s hard for anyone to imagine he was also bearing a huge amount of weight on his shoulders: his father has passed away; his mother is in jail, and she is one of the most-prominent prisoners of conscience in Vietnam right now. He has traveled from South to North Vietnam, then all the way to America, in hope that he will find justice for his mother. He is Tran Bui Trung, a.k.a. Bo Trung, the son of Mrs. Bui Thi Minh Hang. In literature and cinemas, the image of kids who are searching for their parents in time of war and chaos has always touched people deeply. There was Rémi of the 19th century, wandering around with a circus in An Orphan’s Tale written by Hector Malot. And then there was an orphan named Mario, who gave up his spot for his friend, Julietta, and died in a shipwreck incident as narrated in Coure (Heart) written by Edmondo De Amices. Vietnamese audiences from generations before should remember the movie series Devochka Ishchet Otsa (Girl Seeks Father) directed by the well-known Russian director, Lev Golub in 1959. Compare to those fictional characters, the difference in the story of Bo Trung is that his mother, Bui Thi Minh Hang, is not without a trace. Mrs. Bui Hang was arrested on 2/11/14 and has been accused of “disrupting public order." She is currently being held in An Binh, Dong Thap awaiting trial. Her trial is set for 8/26/14. However, in contrast to An Orphan’s Tale, Coure, and Devochka Ishchet Otsa, Bo Trung’s story is recent, more realistic, and much more intense. It is being played out in Vietnam as we speak with many details we cannot even imagine. Why such stories continued to happen in our countries, in this time and day? Before Mrs. Bui’s arrest, Bo Trung lived with his mother in Vung Tau. 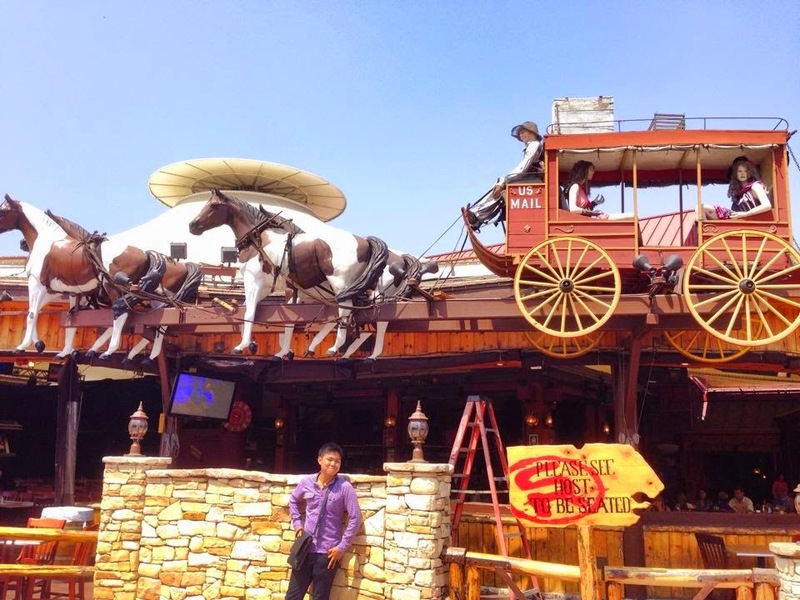 Their lives were not very stable back then: Trung’s childhood was often disrupted when he had to move continuously. There were times that he lived with his father, and there were times that he lived with his mother. He moved through seven different provinces in his twelve years of school. However, the most-insecure period of his life did not happen until after 2011 when his mom became one of the most-prominent figure in those anti-China protests that broke out in Vietnam. 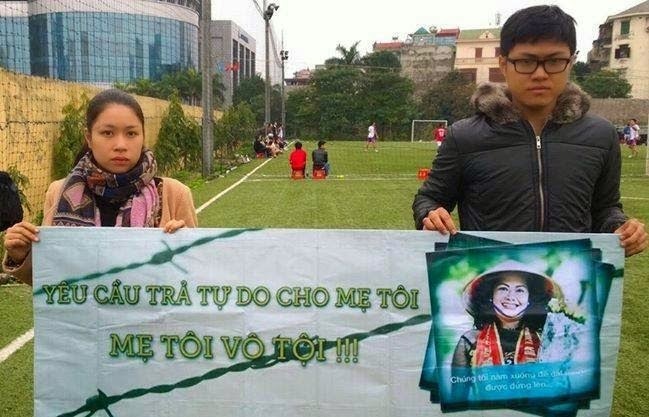 In Nov. 2011, Mrs. Bui Hang was arrested by security police and was taken into “re-education” facility Thanh Ha in Vinh Phuc province under the order of Hanoi mayor Nguyen The Thao. According to that order, Mrs. Bui Hang shall be held for two years. However, she was released after four months. Mrs. Bui Hang returned to Vung Tau after her release, and since then, she was considered as an unruly citizen. Every action the local authorities used on her appeared to be directed and had taken a darker path with defaming phone texts, Facebook messages, and phone calls from strangers. There were nights in which someone threw rotten fish paste mixed with mobile oil, dead rats, and trash onto her front yard. Eventually, Mrs. Bui Hang asked Trung, “Should we work together, son? For example, when I go meet with farmers who are struggling to get their land back, you follow me to videotape and take pictures, write a blog, and convey information to others?” There were more than a few instances when she asked Bo Trung to join her. However, Trung refused, not because he was afraid, but because he was still a kid and did not take human rights activism seriously. He did not see it as a job and a career that requires commitment. All those “disarranged” and “teen-like” characters seemed to come to an end on the day his mom got arrested, 2/11/14, two weeks after the Lunar New Year. Mrs. Bui Hang has somehow foreseen that day would come (although she was not sure when). Thus, she was well-prepared for it. She even signed a contract with a defense lawyer. When they lived together in Vung Tau, she often left the house all day and all night; therefore, Bo Trung was not concerned when Mrs. Bui Hang did not come home on that day. However, he quickly realized afterward that his innocent days had ended. It has been said that the child who was born during the time of war would mature twice as fast as the average child. As for me, I do believe that kids who were born in poor families, in families in which the parents are dissidents, or in time of war would become mature, at a minimum, two or three times faster than the average kids. Bo Trung seemed to age a decade in the days that followed his mother’s arrest. News of his mother’s arrest spread all over Facebook and social networks; however, details about where she was held and about her health conditions were kept in the dark. The police never notified him of anything. That gave him the feeling that they were busy planning on how to find a plausible reason to accuse her with some crimes. It is similar to the attitude the government had during Mr. Cu Huy Ha Vu's arrest. Just within a day, the reason behind the arrest changed continuously from administrative citation to prostitute solicitation, to even drug charges and then finally stopped at “propaganda against the state” under Article 88 of the Penal Code (!). Just imagined that a young adult whose father has deceased and his mother suddenly got arrested for reasons everybody believed to be politically related. What should that kid do? Who should he trust? Who should he listen to and who could he depend on among dozens and hundreds of people around him, both online and in real life with all opinions and comments ranging from sympathetic to directive, to threats, to defamation, to insults and humiliation? While notably, there are people with self-righteous mentality, with beliefs of the good people who sincerely want to advise him for his own good and the sake of his mother, there are others who are the opportunists, the hoodlums, or simply those who are trying to use him, etc.. There were people who could no longer be considered as immature because they were of the age of Bo Trung’s father. They did not hesitate to “give it one last kick after a person fell down." One such person has taken a snapshot of Bo Trung’s Facebook wall and wrote a status on his wall with the comment “… how unfortunate for Bui Hang, her friends and her kids are not so sharp…” A jungle of comments consists of commands and criticisms surrounded Bo Trung from all sides for the last six months. That is without mention the army of “opinion shapers” who frequently humiliate Bo Trung with the nastiest comments and words they can think of. There are no other things more enjoyable than spitting out profanities at those who you already label “traitors” without any consequences since the law and police are on your side. These “opinion shapers” knew this well. At age 23, without a job, without a degree, without social connections, and without what is called “political experience," Bo Trung is like a leaf floating on a stream. His primary concern is a place to live. Like other poor young single men in the city, he struggles with daily meals. He used the rest of the day to go online to look for info and connect with others, in hope that he would find people who can help him free his mom. Every cloud has a silver lining, among unfortunate circumstances comes good gestures. There are many unnamed people anonymously and secretly sent money to Trung to support him and his sister, as well as support Mrs. Bui Hang in custody. Who are they? We cannot know. We should not know anyway since “accepting monetary support for activist work” in Vietnam is still a crime in the mind of the authorities. Security police love to instill that thought in people’s mind as an effort to destroy the civil society that is on the verge of growing in the country. 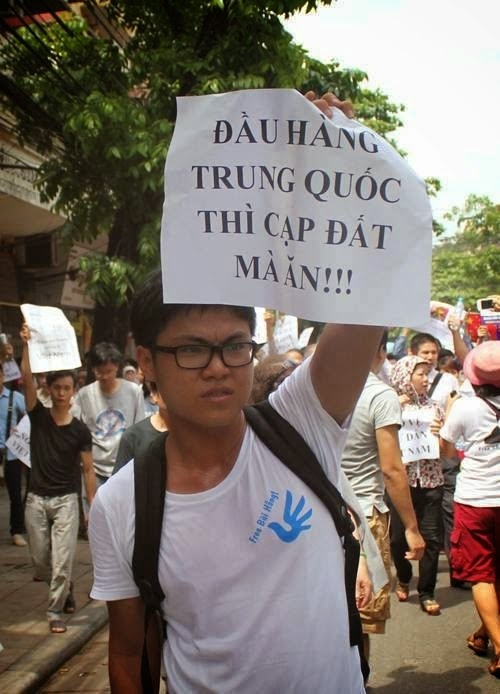 Bo Trung is smart enough to understand that his mother’s arrest is a result of her human rights works; that is what the government dreads the most. His mother is innocent. Even if she is guilty as accused, “disrupting public order” is not a crime that warrant a jail sentence of multiple months. This concept seems to be common legal knowledge in many places around the globe. Unfortunately, it’s just not the law controlled by police in Vietnam. Bo Trung quickly realizes that he is the son of a prisoner of conscience and that he must act in accord with that fact, to be worthy of being Mrs. Bui Hang’s son. From a youngster who just wants to play, he becomes a mature, young man with humility. He speaks politely to everyone. From the information he gathered online, Bo Trung started to think about going abroad and campaign internationally for freedom for the prisoners of conscience in Vietnam, including his mother. The fact that a 9x youngster stepping out of his country for the first time, mumbling basic English phrases such as “thank you, I will try” shows his huge effort to rise to the occasion. That is without mentioning the fact that Bo Trung has to elude large groups of security police who closely monitor him day and night, in order to escape from Vietnam. This aspect alone is intense enough so that one day it can be made into a movie. But, Vietnam has yet to change. The stories we heard today from Bo Trung, from Nguyen Tri Dung (Dieu Cay Nguyen Van Hai’s son), or from friends and relatives of Anh Ba Sam are all stories with details that need to be kept secret. The books and the movies will have to wait. I hope we can once again go out on a day like that, in a beautiful wonderland like that… in Vietnam.